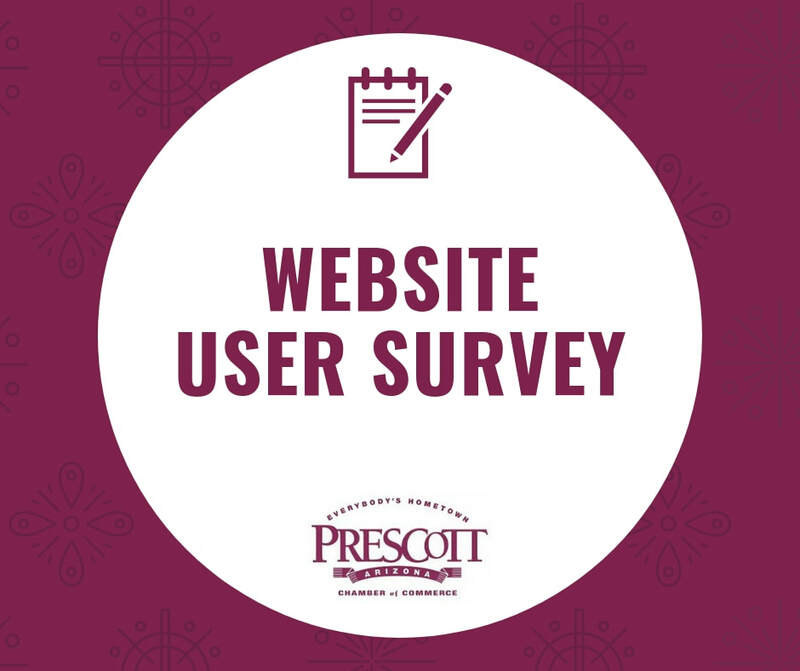 9:45 a.m. - 6:00 p.m.
10:45 a.m. - 3:00 p.m.
​Located on Goodwin Street (in front of the Prescott Chamber of Commerce). ​Set up your chairs and blankets under the shady elms on the South side of the Yavapai County Courthouse Plaza. Visit our vendors, shop local stores and eat at local restaurants! Stop by the Visitor Information Center for a list of where to shop and eat! The festival started as a fiddle contest dedicated to a local fiddler. In the mid-80's it took on the character of a typical bluegrass festival. Until the mid-90’s, the event was held at Watson Lake Park, and then moved to its current downtown location on the Yavapai County Courthouse Plaza in 1996. At that time the event changed character again to one with FREE admission. It remains the only FREE bluegrass festival of its caliber in the western United States. 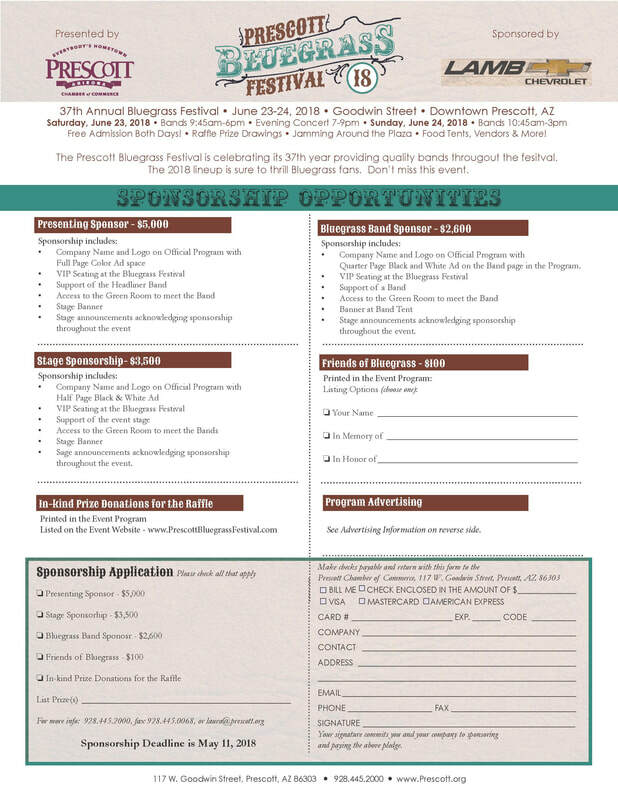 Financial support comes from local businesses, Lamb Chevrolet, the City of Prescott, Arizona Commission on the Arts and many additional Friends of Bluegrass, as well as raffle sales, festival tee shirts and the festival program. 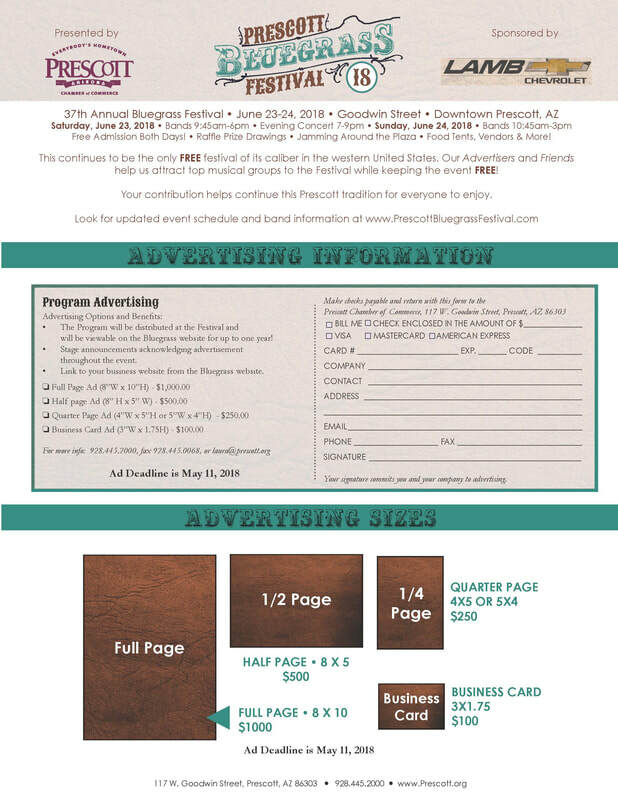 ​The Prescott Chamber of Commerce coordinates this FREE festival and strives to bring audiences a variety of bluegrass shows: traditional and contemporary; national, regional, and local groups; family and non-family bands – while maintaining the highest standards for the music. Dry camping is available at the nearby Prescott Mile High Middle School campus. Ryan Shupe is roaring back with his new album “We Rode On”. “We Rode On” marks a striking career transition and a meaningful evolution in Shupe’s songwriting, his life, and the band’s sound. It strongly and deftly combines the rock side of their musical arsenal with the acoustic instruments and virtuosic jamming the band has become known for in their live shows. The album focuses on themes like family, love, and maturity. The epic title track, “We Rode On” triumphantly belts out the phrase “singing songs at the top of our lungs” while the anthemic “Sun Will Shine Again” is a mantra to Shupe’s children. The catchy, rocking “If I Stay” and “Just Say Yes” deal with love interest dilemmas. “Dream Big”, a revamped version of their Billboard charting Capitol Records release, is triumphant, inspirational and powerful. 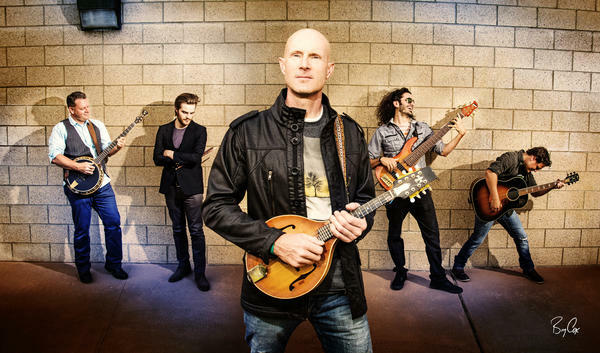 Being a 5th generation fiddler, an accomplished electric guitar, acoustic guitar and mandolin player, Shupe has been touring extensively across the US since he was 10 years old. He is no stranger to the national stage and the band has appeared on Good Morning America, E! TV, Mountain Stage, Woodsongs, GAC and CMT. They continue to tour regularly with stops at festivals, concert series, special events and prestigious venues. Bringing a national team together with radio, marketing, social media, and publicity, the band will continue touring nationally to promote the album, starting with the regions where they have a strong following. Sunday, June 24, 2018 at 1:30 p.m.
Mellencamp, Miranda Lambert, Neil Diamond, Ray Charles, Nancy Griffith, Judy Collins, Pete Seeger, Janis Ian, Kathy Mattea, John Denver, Faith Hill, B.J. Thomas, Blake Shelton, Peter, Paul & Mary and Bob Dylan… just to name a few! Within days of writing and playing together, they knew they were onto something. Now they’re taking it on the road! over 50 albums of his own songs. Recordings of his songs by other artists number in the hundreds and include artists such as Bob Dylan, Johnny Cash, Willie Nelson, Dolly Parton, Judy Collins, John Denver, Joan Baez and Peter, Paul & Mary, to name just a very few. Been,” reflects his straight-to-the-heart sensibility and emotional awareness. Vezner weaves the particulars of his own feelings with the lives of people he has known into universal themes that deeply touch listeners’ emotions. Vezner was honored with a Grammy for “Best Country Song” and the Nashville Songwriters Association “Song of the Year” in 1990, for “Where’ve You Been” — the true story of Vezner’s grandparents — co-written with Don Henry, and recorded by Kathy Mattea. “Where’ve You Been” was also honored as “Song of the Year” by the Country Music Association (CMA) and the Academy of Country Music (ACM). Jon was also voted “Songwriter of the Year” by the Nashville Songwriters Association International. Born in Minnesota, Jon Vezner began his musical career as lead singer and bassist for various groups in high school, going on to earn a B.A. degree in music education and music theory at Minnesota Southwest State University in the mid ′70s. In Morgan Hill, California in the early 70's, records like "The Band" by The Band and "Honky Chateau" by Elton John prompted Don Henry to begin writing his own lyrics to Jim Croce melodies. Then he learned to play guitar with a Paul Simon songbook. After that it was an education in The Beatles, Cat Stevens, Harry Nilsson, Carole King, Cat Stevens, and Joni Mitchell. Then Randy Newman's 'Good Old Boys' and 'Old Number One' by Guy Clark changed his life. In April of 1979, at 19, Don made his way to Nashville. of the best songs by some of the best songwriters in Nashville (Sonny Throckmorton, Bobby Braddock, Harlan Howard, and Curly Putman), Don's own songs started getting recorded and he was moved to full-time staff songwriter. Ray Charles, Conway Twitty, the Oak Ridge Boys, T.G. Sheppard, John Conlee and Kathy Mattea are just a few who recorded Don's songs during this period. In 1990, Don and Jon Vezner received song of the year awards for co-writing Mattea's critically acclaimed hit, "Where've You Been". Awards from the Grammys, as well as from the Academy of Country Music, the Country Music Association, and the Nashville Songwriters Association International culminated it "Where've You Been" becoming the first song ever to be so honored by all four organizations. chose the debut album as one of 1991's Top Ten records, as did Larry McClain of BAM magazine. Rolling Stone liked it enough to profile Don in their "New Faces" column. Since, Don’s songs have been recorded by Lonestar, Rosie Flores, The Thompson Brothers Band, Bryan White, and Blake Shelton. A 2001 release, “Flowers and Rockets”, was followed quickly by "Live At The Bluebird Café". In 2013 Miranda Lambert had a hit with Don and Phillip Coleman’s song “All Kinds Of Kinds”. At Don's shows, you'll easily spot those who have yet to hear his songs. Upon first experiencing them, the listener is often moved to laughter or tears, sometimes both at the same time! And everyone leaves humming, because Don Henry songs stay with you. Saturday, June 23 at 12:00 p.m. and 4:00 p.m.
Sunday, June 24 at 12:30 p.m. The Central Valley Boys are dedicated to paying homage to the greats of the beautiful and fertile Central Valley of California. No frills or fancy stuff, just down home Bluegrass music at its finest. 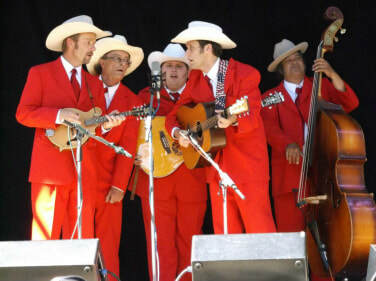 A Central Valley Boys show typically includes songs performed in the traditional style in respect to Vern Williams. The greatest Bluegrass musician to live in California. Songs like "Bald Knob Arkansas" and "Oh Susannah!" done in the traditional style can be heard at a Central Valley Boys show. Thank you Vern for bringing the true Bluegrass Sound to Bluegrass music fans. Other great musical acts from the central valley were The Farmer Boys, Bobby Adamson and Woody Murray. Like the great Vern Williams; The Farmer Boys were originally from Arkansas. They met as teens in Farmerville, CA., singing together at a jukebox. The Farmer Boys recorded in the mid '50s with a young Buck Owens playing the guitar. Their music is part of the "Bakersfield" sound. Although it's not Bluegrass, we find many of their songs lend themselves to The Central Valley Boys sound. Of course, a Central Valley Boys show would be quite sparse without songs from the great first generation Bluegrass band, The Stanley Brothers. Carter and Ralph Stanley, from McClure Virginia in the Clinch Mountains brought their distinctive "Clinch Mountain music" to the world. Carter wrote and sang some of the music ever rendered with his Brother Ralph singing high tenor and adding his distinctive banjo sound. The Bluegrass world would not be the same today without the Stanley Brothers. The Central Valley Boys invite you to come see our show, stop and say hello and maybe pick a few with us after the show! Saturday, June 23 at 11:00 a.m. and 3:00 p.m.
Sunday, June 24 at 11:30 a.m. The Corzines have been part of the southern California acoustic music scene for more than 30 years. John Corzine (guitar) and Peggy Corzine (bass) have performed together since meeting in high school, and now with the addition of their youngest son, Cody Corzine (guitar), have gathered a collection of some of the best bluegrass, old-time, country and folk music around. Festivals and contests, Disneyland and Depots, coffee houses and concert halls -- their close harmony and respectful but contemporary arrangements make for a unique blend of old and new. Having spent many years away in Fort Worth, Texas and Portland, Oregon, John and Peggy returned to southern California with a renewed passion for the music enhanced by Cody’s contribution, adding rhythm and lead guitar and that third harmony vocal that creates the coveted “family blend.” Check out their 2013 CD, “The Corzines” at www.facebook/thecorzines. Joining the Corzines is David Dickey III, bandmate of John and Peggy in the BladeRunners bluegrass band. David contributes many of his original songs, and his incredible mandolin work and rich baritone vocals are the perfect new layer of texture in the distinctive sound of the Corzines. Saturday, June 23 at 1:00 p.m. and 5:00 p.m. Since forming in 2011, The Sonoran Dogs have become a mainstay in the southwest bluegrass scene, having headlined at the 2014 Tucson Folk Festival and the 2014 and 2015 Prescott Bluegrass Festival. In November and December of 2016 they toured Australia, with performances at the Mountaingrass Festival in Harrietville, Victoria along with many other concert venues down under. They have also performed at California's Summergrass Festival, Blythe Bluegrass Festival, Parkfield Bluegrass Festival, Bower's Mansion Bluegrass Festival, Flagstaff's Pickin' in the Pines, Colorado's Fruita Fall Festival, Bluegrass on the Beach in Lake Havasu City, and many other festivals. They are based in the Sonoran Desert and named themselves after a type of hot dog created in the state of Sonora, Mexico. 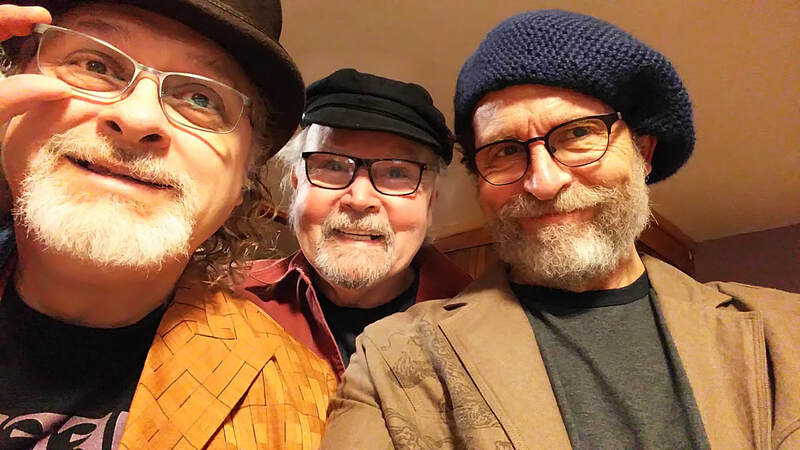 ​The group is made up of seasoned musical veterans Brian Davies on bass, Mark Miracle on mandolin, Peter McLaughlin on guitar, and Tyler James on banjo. They share a common interest in bluegrass and Americana music. Their first CD was released on Dog Boy Records in September, 2014 and includes a collection of traditional bluegrass standards, new-grass, Americana, and original compositions. Raffle Drawing on Sunday at 3:00 p.m.
© 2019, Prescott Chamber of Commerce. All Rights Reserved.